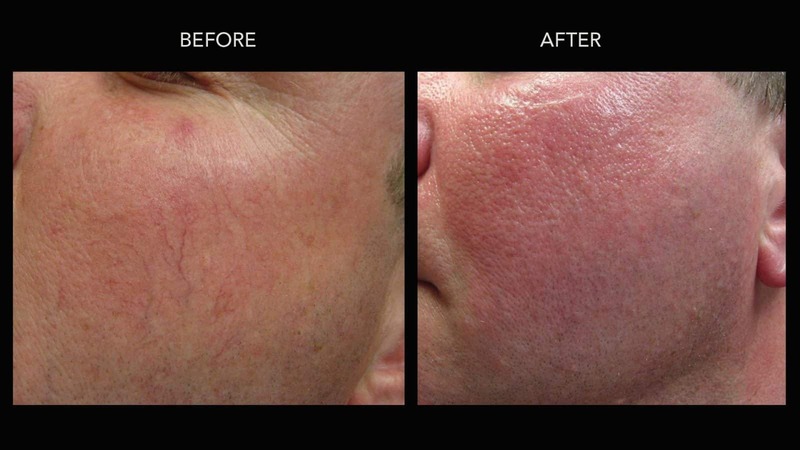 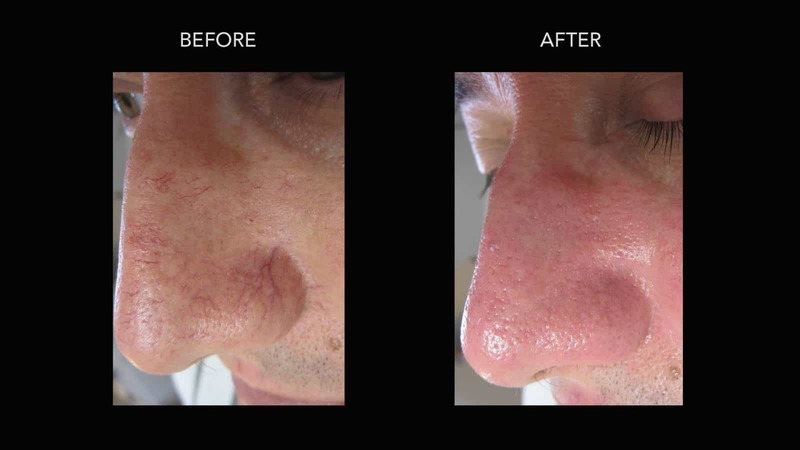 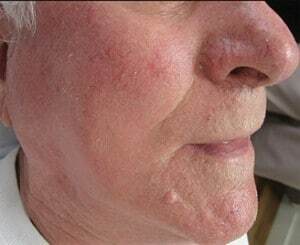 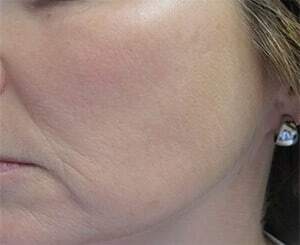 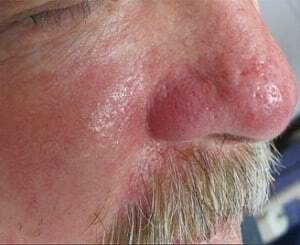 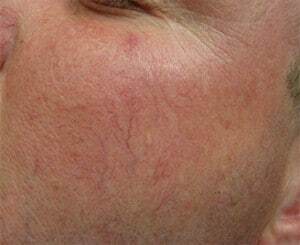 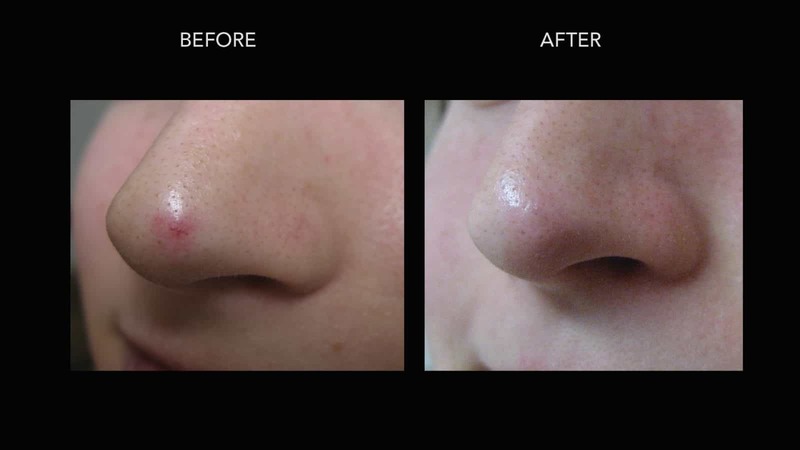 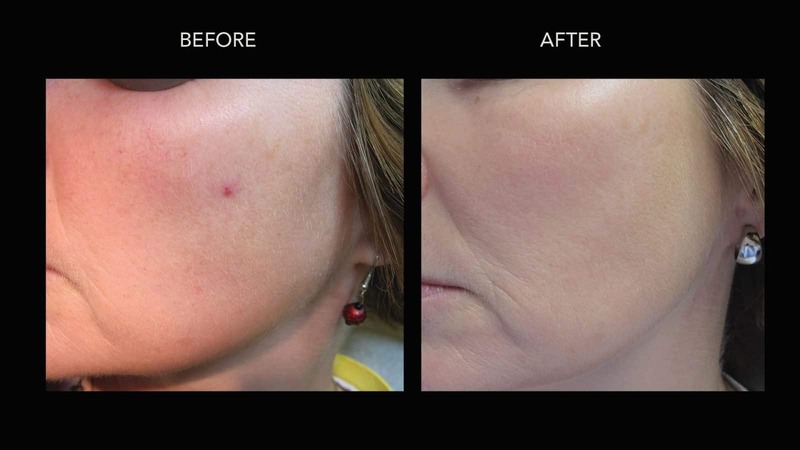 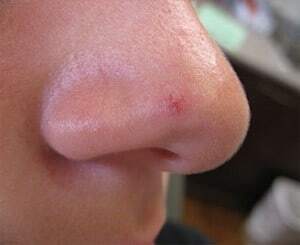 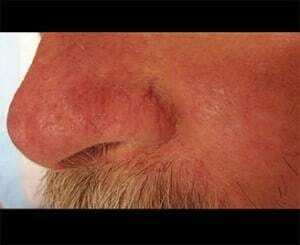 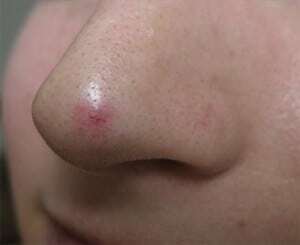 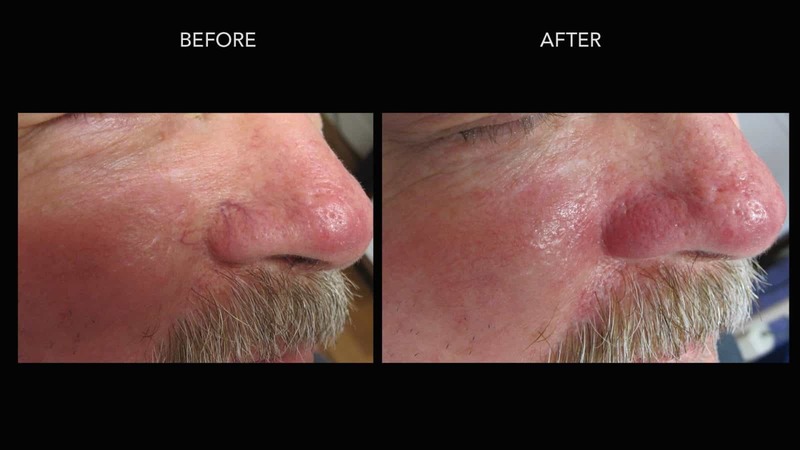 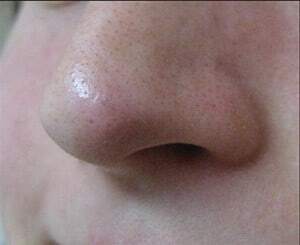 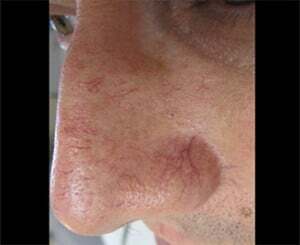 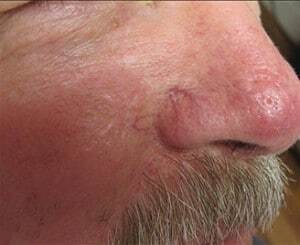 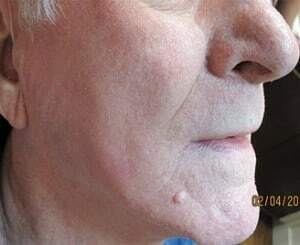 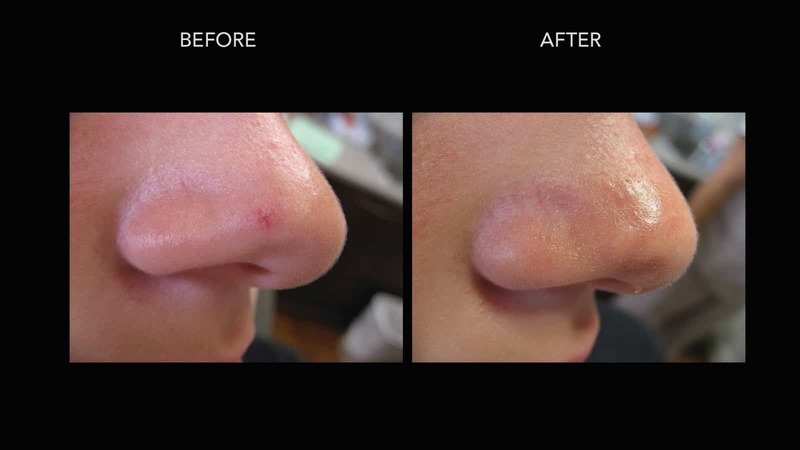 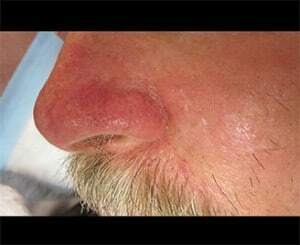 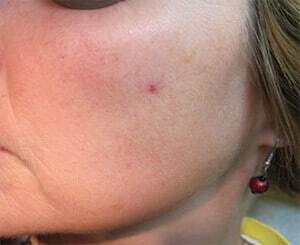 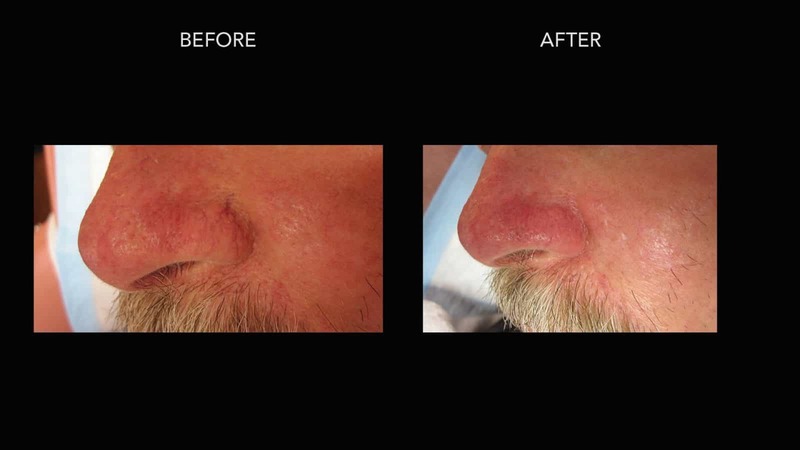 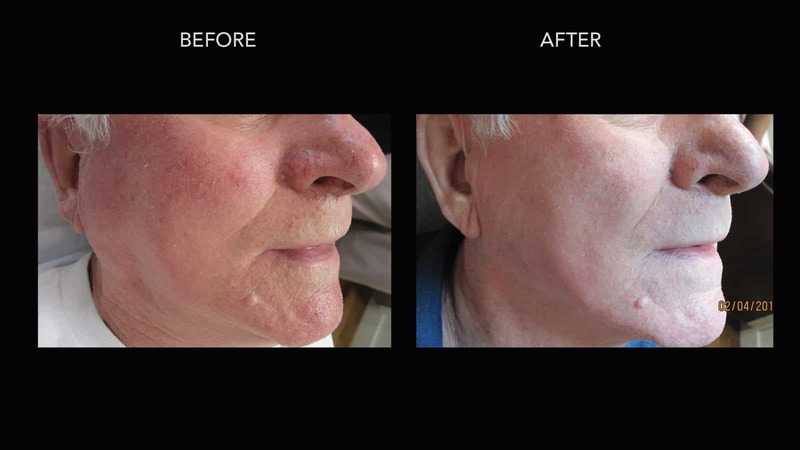 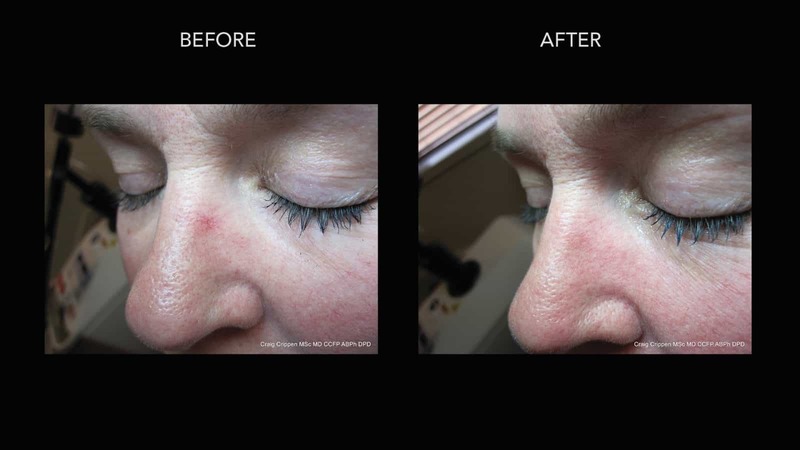 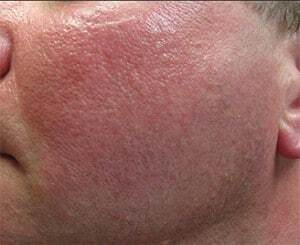 A collection of small blood vessels on the tip of the nose was instantly treated using our special vascular laser. 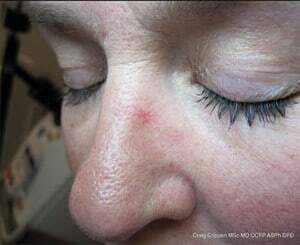 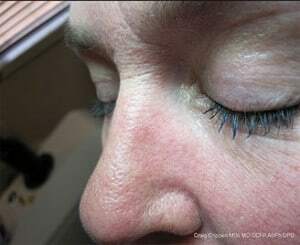 Another spider vein on the nose that was treated with a vascular-specific laser. 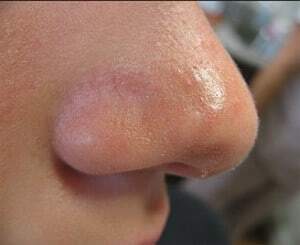 Just one session was required to achieve this result.